For gates up to 1,600 lbs. (max 8 ft.) or 18 ft. in length (max 600 lbs.) each. Recommended for light commercial, residential, farm, and ranch applications. 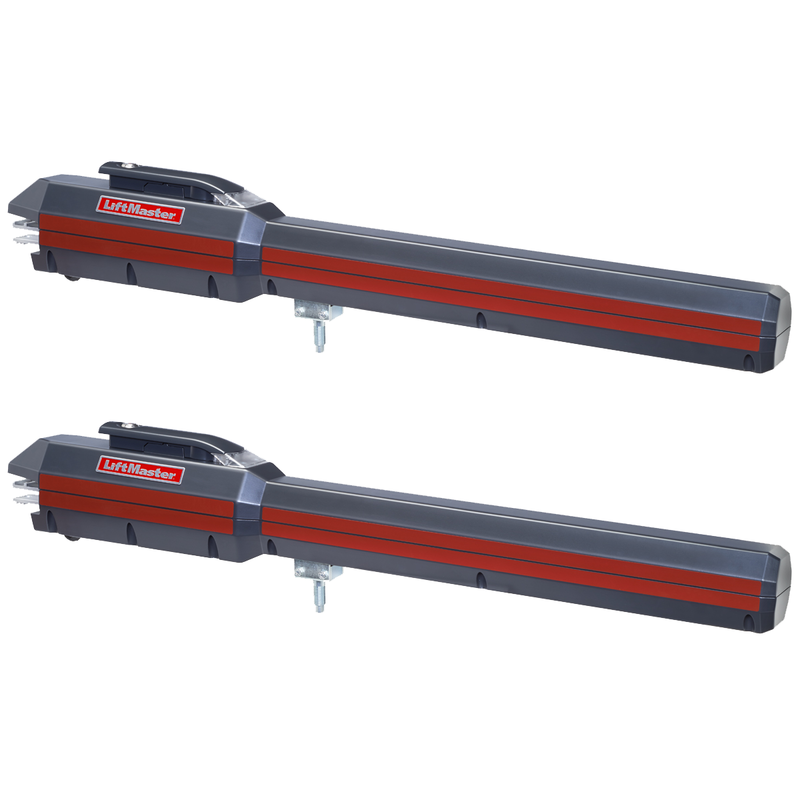 This is a LiftMaster LA500 Dual Linear Actuator Swing Gate Operator. Access your property like never before. With MyQ® Technology you can monitor and control your gate from anywhere and get in quickly and securely with the built-in interference eliminating Security+ 2.0™ radio. Our industry-leading power management technology extends battery backup for up to 24 days without recharging. No other company can offer you that peace of mind. • Battery Backup safeguards your property by providing up to 500 cycles or up to 24 days of standby power when the power is down. • Gate Size rated for gates up to 18 ft. in length or weighing up to 1,600 lbs.